ANY PART OF YOUR ELECTRICAL SYSTEM IN YOUR HOME OR BUSINESS THAT IS NOT WORKING PROPERLY HAS THE POTENTIAL TO CAUSE A FIRE!! This cannot be stressed enough! You may be saying to yourself, "That switch or plug hasn't worked in years and nothing has happened." You are playing with FIRE, Literally! 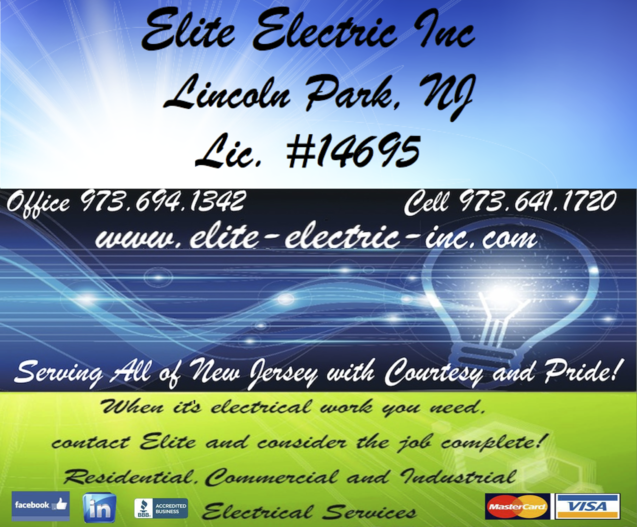 Elite Electric Inc. will provide you with troubleshooting service for any problems you may have! We highly recommend calling to have any problem you are experiencing addressed ASAP. Why take a chance and risk your life and the lives of those you love? Even if you don't call us, call someone! It is just that important! !